I have the honor of being the last blogger for the crochet month of March. You have the honor of reading my first ever blog! Since the topic is crochet I think I’ll share with you how much crochet means to me. 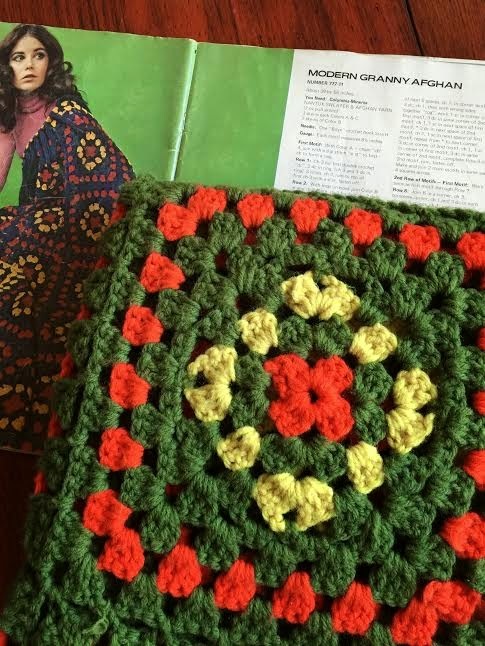 I first taught myself to crochet (over 50 years ago) when a cousin moved out of state and gave me an unfinished granny square afghan. Not wanting to waste yarn I taught myself to crochet and finished the afghan and I was hooked! (Pun intended!) I was just starting motherhood and over the years my five children had many crocheted items to wear and play with. I have lost count of how many afghans I’ve made, but a few years ago I went out of state to help a daughter with her kids when she was having health issues. One day I opened the linen closet and saw LOTS of afghans. At first I didn’t recognize them but then realized I had made them all and she certainly didn’t need any more! The same goes for my other children! Like lots of crocheters after I was comfortable doing crochet I started playing with published patterns to make them to my ideas-longer, shorter or even a different stitch. I entered several magazine crochet contests and actually was a finalist. I’d see designs in publications and realized that they were very much like ones I had designed. That awakened a desire in me to be published but was too timid to do so. Fast forward to 1993. I saw an announcement in a crochet publication (can’t remember which one) that someone named Gwen Blakley Kinsler was trying to organize a national crochet guild. She was organizing a conference in Chicago at DePaul University that next summer. Was I excited! My kids were on their own by that time so I was able to afford to go. What an experience! I took classes and met people who’s names I had seen in publications as designers. I was rubbing shoulders with the crochet world elite!!! 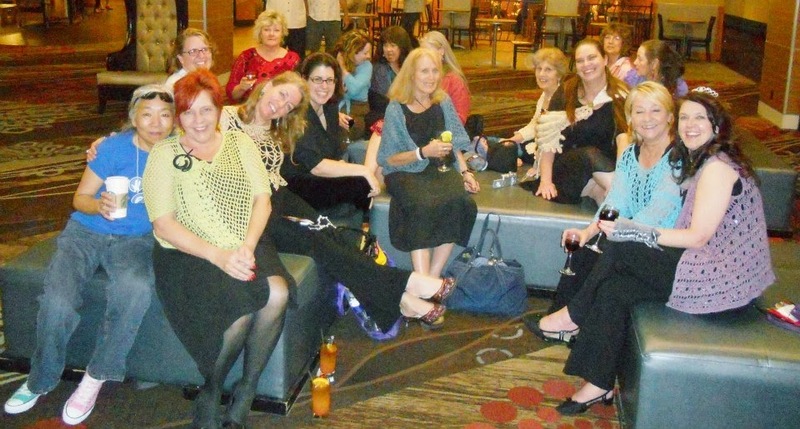 This was the chance to become a founding member of the Crochet Guild of America. Well I’ve attended each summer conference since then and besides taking LOTS of classes I’ve had the opportunity to meet with publishers and have been published in various books and magazines. If not for the CGOA I never would have found the courage to approach publishers with my designs. I now have crochet friends all over the US as well as Canada, Ireland, England and Australia. I’ve even had the opportunity of going to Ireland on a crochet tour. 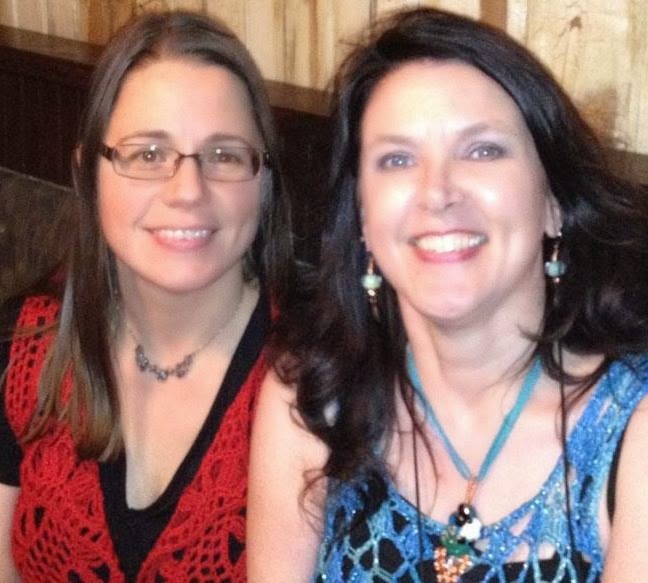 I’ve also helped to found the Ididachain Crochet Guild in Alaska. We are now 16 years old. Several of us met on the internet at Crochet Partners and that was the start of our guild. To sum all this up, crochet and CGOA has given me the opportunity to grow both as a person and of course as a crocheter. Thank you God for crochet!!! An insider's look on CGOA! I must admit, when I was nominated to the Board of Directors for 2014-2015, I was completely honored, but I really had no idea how this whole organization worked! I had learned a few things being the Buddy Program Coordinator, as well as having the opportunity to speak with almost all of the Past Presidents and former Board Members, but it wasn't really until I was in on the Board that I caught a glimpse of the big picture. I have had a whole year to dig in and get going, and I thought now would be a great opportunity to share with you what I have learned! As you have seen over the past week (and Delma tomorrow!) we are all people highly involved in the crochet community in various ways who care deeply for this organization and we do our best to keep it headed in the right direction, inspire new ideas and programs and help plan for the future while keeping in touch with the past. We have at least 5 Board meetings a year, with one always being at the Summer conference. Each of these have at least a Chairperson who coordinates all the efforts and other volunteers and a Board Liason who keeps track of the committees work and reports to the rest of the board the great work being done and any issues that they may need help with. Offinger is the company that manages the day-to-day work of an organization as well as our event planners. They handle the membership accounts, manage the crochet.org website, plan all the logisitics of conference, and help to keep the Board on track and conforming to our bylaws. Without our Volunteers or Offinger, CGOA would not exist. Over the next few weeks, be sure to check back here for an expanded look into each of these committees and how we need YOUR help! I want to thank you you for stopping by today, and for all the hard work Amy and Donna have done to keep the Blog Tour running. I hope you have had a great National Crochet Month, and I look forward to sharing more with you soon!! 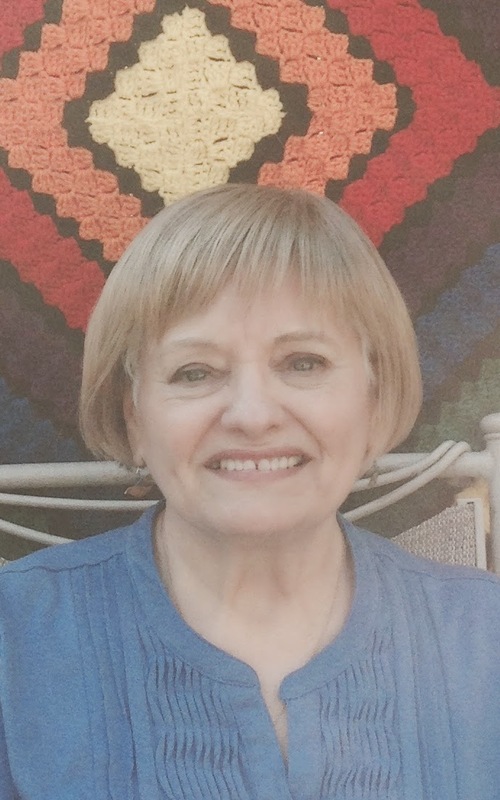 I'm Marcy Smith, former president and current board member of CGOA. My work this year focuses on helping to develop CGOA's education programs. It's pretty exciting and I can't wait to tell you how it all shakes out. 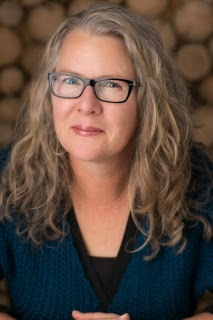 My day job is editor of Interweave Crochet and crochet content strategist for FW Media. I get to work with crocheters Every Day, which is pretty swell. If you missed the post by Tammy Hildebrand, Veep of CGOA (and a fine friend and fellow Tar Heel as well! ), do check it out. Tammy gives a terrific tour of CGOA, crochet.org and all its benefits. I second everything she says about the special fibery goodness of CGOA, particularly the annual conference. See all the fun Tammy is having in those pictures? It’s even more fun in real time. Come join us. And a big shout-out to Crochetville for organizing our monthlong celebration. Because, you know, we all crochet every day, but it is a most excellent thing to devote every day of a whole month to celebrating crochet. It takes a good bit of time and effort to organize us all. So, thanks Amy and Donna! Before I get started here, I want to ask you: Who is your favorite crocheter? Ruminate on that while I tell you what I've been up to. Lately, my daughter and I have been crafting together. She is sixteen, going on seventeen, so it’s nothing short of remarkable that this is even going on. We have great fun (really!) taking a project from a quick idea to a finished product, both of us contributing suggestions and materials as we move forward. Here are some things I’ve learned as we’ve worked together. Nothing is too precious to use. That ball of yarn you’ve been hoarding saving for just the right thing? Use it right now! The adorable notebook you’ve been afraid to make a mark in? Open it up and sketch your next project. The special bead nestled in velvet? String it on thread and wear it. You are the maker. Don’t worry about exactly duplicating that nifty necklace on Pinterest. Use it as a launching point to create your own great thing. We are all makers, but we can get caught up in a list of Things to Crochet and forget to really enjoy crochet. Or maybe other work gets in the way of crochet. So here’s the thing: When’s the last time you crocheted a thing for yourself? Not for a client, relative or friend in need. Can’t remember? Then the time is now. I’m going to give you a little recipe to jump-start your creativity AND make a gift for yourself. This recipe, also, comes from my daughter. As a toddler, she put together the most amazing outfits, from her pink Mary Janes to her yellow-hat-with-the-pink-flower, with all manner of textures and colors in between. At the very end, she’d throw on a macaroni necklace that pulled the outfit together in a most excellent way. My latest obsession takes a page from her book of style by crocheting my own brand of “macaroni necklace.” Bead crochet necklaces! Here’s the recipe: Go fetch crochet thread and beads. If you don’t have beads (and why not? ), go get yourself a tube of them from the local craft store. (We’ll still be here when you get back.) Get beads that make you want to sing, because of their color or shapes or variety. While you’re there, get yourself one of those narrow, flexy needles with the big eye for stringing the beads. If at all possible, tuck your beads & thread & needle & hook into a bag—throw a notebook in there, too—and go to a coffeeshop or bookstore. By yourself. If you can’t get away, tuck yourself into a nook with a cup of tea. One of my bead necklaces in progress. 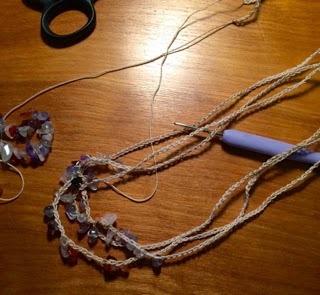 String all the beads on the crochet thread—do not fret over the order of color or size; just thread them on as you pick them up. When they’re all strung, leave a 6” tail, make a slipknot, then *crochet a few chains, slide up a bead, crochet a few chains, slide up another bead, rep from *. Easy-peasy. 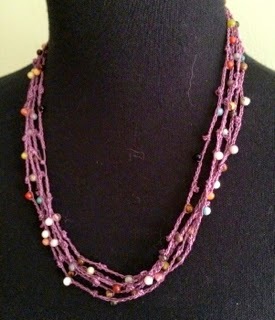 There are a variety of ways to arrange the chain lengths and beads—follow your intuition. Pause occasionally to jot down any ideas that flow into your mind as you mesmerize yourself with the chaining and beading. When you’re done, clip, leaving a 6” tail. Tie the tails together in an overhand knot. Put on the necklace. The necklace I wear all the darn time. Wear your necklace as much as possible—it will go with everything!—to remind yourself that you are a creative being. A maker. So, who is your favorite crocheter? If the answer is not YOU, it should be. Say that out loud: "I am my favorite crocheter!" Wow! Stunning, isn't it? 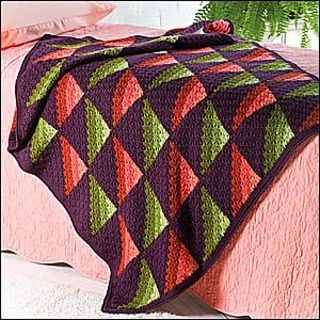 Isn't it awesome that you CAN crochet? It is. Totally a Stuart Smalley moment. Wallow in it for a second or two. Did you hear What’s New with the CGOA Design Competition? 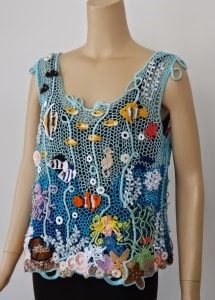 It is fun to see your creation exhibited with other outstanding crochet designs. It will give you a reason to really stretch yourself and create something that will give joy to yourself and others. 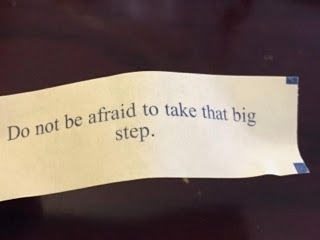 It may lead to crochet fame and give you credibility with magazine editors, book publishers and yarn companies (if you’d like to become a designer in the industry). And last (but not least), there are monetary prizes in each of the 7 categories listed above. This year I am co-chair with Susan Lowman of the competition committee. We are working with a whole team of members who believe, like us, that the competition is an important part of the conference. I encourage you to enter the contest and let the world see what you can create! Happy National Crochet Month! It’s great to have a whole month to celebrate crochet! Since CGOA is an integral part of National Crochet Month, it’s fitting that the CGOA Board members participate in Crochetville’s National Crochet Month Blog Tour again this year. Many thanks to Amy Shelton and Donna Hulka for putting together this blog tour. We’re supporting the charity, Halos of Hope again this year. For more information about Halos of Hope, visit their website here: www.halosofhope.org. I’d like to introduce myself. My name is Susan Lowman. 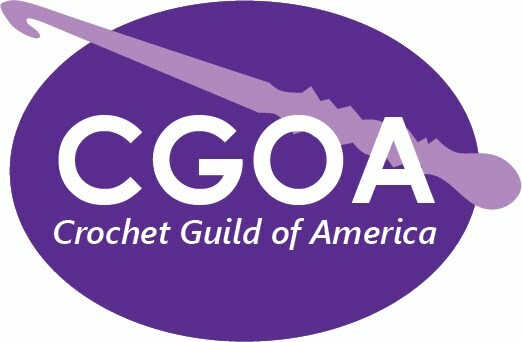 I’m a professional member of CGOA, working as a freelance crochet designer, technical editor and teacher. I’m the secretary on the CGOA Board of Directors again this year, the liaison to the CGOA Masters committee and co-chair in the CGOA Masters program. I’m also one of the 2 co-chairs of this year’s CGOA Design Competition. But I’ll let the other co-chair (Bobbie Matela) tell you about the Design Competition in her blog post tomorrow! I love being involved in CGOA!!! I’m very excited to tell you about the first full-length CGOA Masters Day that we’ll be presenting this year at the CGOA Conference (aka: Knit & Crochet Show or Chain Link Conference) in July in San Diego, CA. Our first CGOA Masters Day was held last year at the conference in Manchester, NH, but it was only a half day. Our full-length CGOA Masters Day this year will be loaded with helpful information on how to improve your crochet, including such topics as getting gauge, weaving in ends invisibly, joining smoothly, fastening off neatly and much more. We’ll also be reviewing swatches in the program to teach you how to review your own work and we’ll explain what we’re looking for in the portfolio reviews. The day is split up between the morning session and the afternoon session, so you can pick the session you’d like to attend or attend both! Jane Rimmer (the other co-chair of the CGOA Masters program) and I, along with some of the other Masters Committee members (aka: portfolio reviewers), are very excited about this Masters Day and we hope you are, too! We’ve got a lot planned for the day and look forward to sharing it with all those in attendance to help further everyone’s crochet skills and knowledge! If you’re currently enrolled in the CGOA Masters program or you’d like to learn more about the program, you’ll want to attend the CGOA Masters Day on Wednesday, July 22 from 9 am – 12 noon and 2-5 pm. To read more about this year’s conference, including the schedule for the CGOA Masters Day, please check out this page. 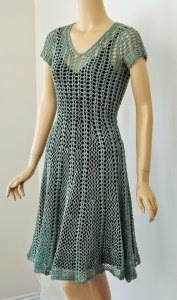 For more information about the Knit & Crochet Show, check out this website. The complete show schedule, including more specific information on the classes, is all there for you to read and plan your conference experience, along with registering for a fabulous time! Happy National Crochet Month and happy crocheting! If you are anything like me and I think most of you reading this are, EVERY day is a day to celebrate crochet, but there is just something fun and exciting about setting aside an entire month to celebrate in an even bigger way than usual. I certainly have enjoyed reading all of the blog posts from many of CGOA's professional members and the daily giveaways from Red Heart Yarns have been fantastic. We are so grateful to Crochetville for their never-ending support of the Crochet Guild and I would like to thank Amy and Donna for once again hosting this blog tour. Crochet has always been a part of my life for almost as long as I can remember. 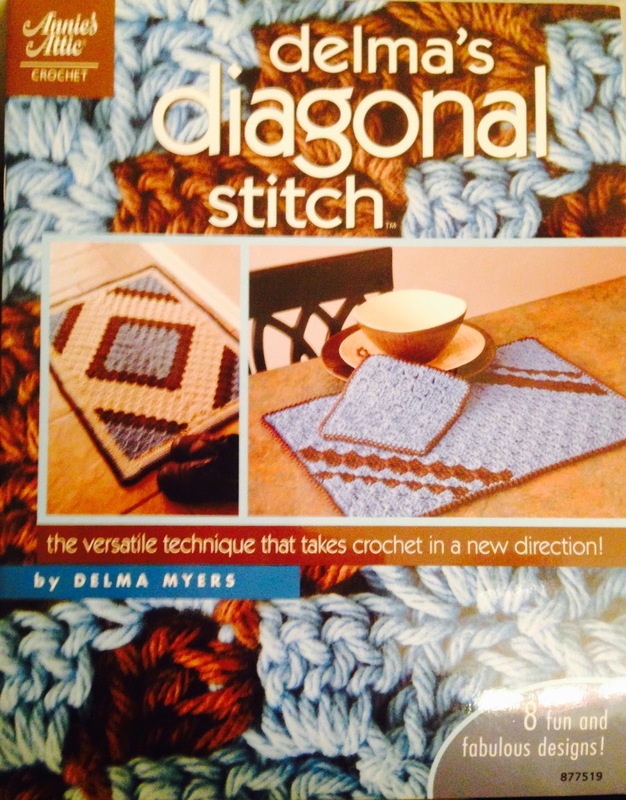 I learned to crochet and created my first project at the desk of my second grade teacher, Mrs. Crooks. My great grandmother had crocheted but she was gone by this time and no one else in my family (still to this day!) crocheted or knitted. So CGOA is even more special to me as our members are my fiber family! I have had the honor to serve in a number of different ways including mentor coordinator, professional development chairperson and now as vice president, and with each new venture, I find myself learning more and benefiting by the experience. Isn't it so neat how you set out to serve others and in return you find yourself being blessed! So I encourage everyone to get involved! Look around our website and see where your talents might be best put to use. We also encourage you to explore and take advantage of the many wonderful resources CGOA offers. There is the "Masters Program" , recognition as a professional in the industry as well as a mentoring program for aspiring professionals, design competition, local chapters, national and retailer discounts and so much more! And don't forget the high light which is our annual conference when we all come together and take over a conference center for what is always too short of a time! 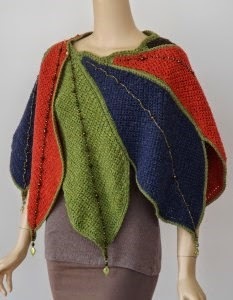 This Summer the Knit and Crochet Show will be in San Diego, CA! You want to do everything possible to be able to attend! Not only is it a fantastic opportunity to learn and network, but we sure have some fun! I hope to see many of you there! 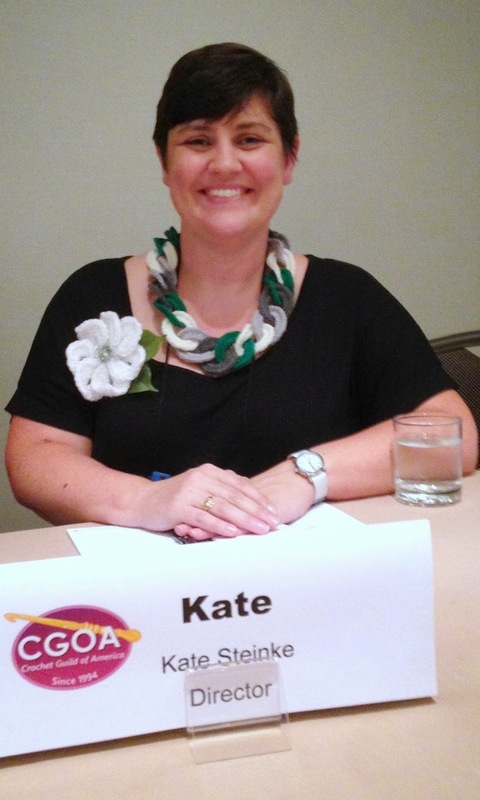 As the new President of the CGOA Board, I want to share a little of my background and why crochet is important to me. I’ve always been passionate about handwork. Needlepoint, embroidery, and sewing were early interests. My mother-in-law taught me how to crochet not long after I married into the Sullivan family. I still use my Boye crochet hooks from the set I bought at Wal-mart in Berryville, Arkansas in 1973! That Christmas, everyone on my list (well, the gals), received a shawl made from a pattern in Family Circle magazine with Dazzleaire yarn. I continued honing my skills on baby afghans for family and friends and like most crocheters I gave almost everything away but here is the first afghan I ever made. It is a pattern from a Columbia-Minerva book, Teach Yourself to Crochet, and as you can see it was made in those 70s signature colors; avocado, harvest gold, and orange. I was so intrigued by the square turned on point inside the circle, inside the outer square! I was majoring in art in college and as I explored new art forms, crochet patiently waited for me to return. The pottery studio became my new home and consumed all of my creative energy. Fast forward to 1988 and it was time for this mother of a one-year-old son to go back to work. 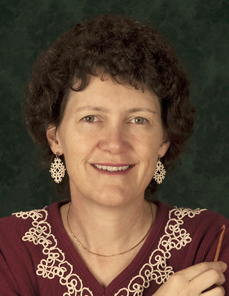 I joined Leisure Arts as a technical writer for surface stitchery and crafts. In 1995, I took over as managing editor of all crochet and knit publications with 17 technical editors for the various leaftlets, books, and one crochet magazine. Over the next 19 years, while I was still involved in all of the other categories, crochet was my favorite. The most treasured part of my job was working with designers across the industry. I soon realized how much I loved dreaming and planning with these amazingly talented women and men to bring great designs to life. In 2014, due to changes in the company, I found myself contemplating my next adventure and am excited to be continuing in the industry I love. I've formed my own consulting firm and am humbled by the opportunities before me. I count being on and leading the board of CGOA as one of those opportunities for which I am very grateful. 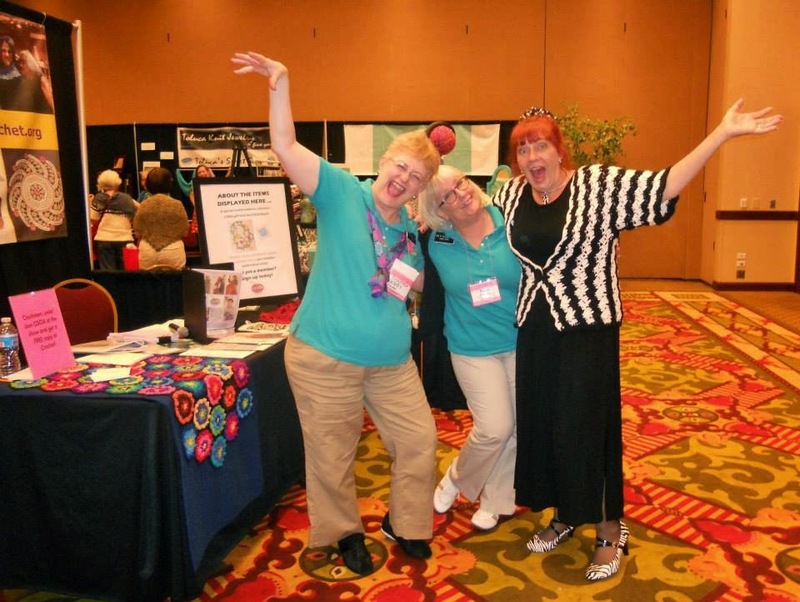 While CGOA offers so many fun and educational programs to its members, I think it's so very important to recognize the role it plays in providing crochet designers a platform to further their professional goals. The Crochet Professional and Crochet Associate Professional recognition programs are unique in our industry. There are significant qualification requirements to receive these titles which helps the designer grow and strengthens the level of professionalism in the industry. In my previous role in publishing, the CGOA conferences allowed me to meet with numerous designers under one roof. This is good for the publisher as well as budding and seasoned designers. When you think CROCHET, think CGOA!